By Louis Jacobson on Monday, November 14th, 2016 at 4:57 p.m.
Social media was abuzz with claims that Trump won the popular vote, as well as the electoral college. Pants on Fire! Donald Trump unquestionably won the 2016 presidential election, but he is trailing in the popular vote. That might come as a surprise to people who Googled the phrase "Final Election Count" as late as 2 p.m. on Nov. 14. The first entry in Google’s news category -- above those from news links to the Washington Post and Politico -- was a Nov. 12 post (updated the following day) from a little-known site called 70news. "Final election 2016 numbers: Trump won both popular (62.9M-62.2M) and Electoral College Votes (306-232)," the post’s headline said. Further down the page, the site’s anonymous author wrote, "To all the liberal loonies still rioting because you claim Trump did not get the popular vote, get your meds now and prepare to be shocked because the finals results are in. Trump got 306 Electoral College vote while Hillary Clinton got 232. For #PopularVote: #Trump: 62,972,226 #Clinton: 62,277,750." According to its Facebook page, the site launched in August and seeks to "share news that matters to you. What liberal media will try to hide, we will uncover." Here’s a screenshot of how that particular Google search displayed the 70news post -- prominently. But while it’s absolutely true that Trump won the Electoral College vote -- which is the only thing that matters in determining who moves into the White House on Jan. 20 -- he is not leading in the popular vote. The most comprehensive vote-tracking analysis is published by David Wasserman of the nonpartisan Cook Political Report. As of 2:30 p.m. on Nov. 14, according to Wasserman’s calculations, Clinton led Trump by 784,748 votes -- specifically, 61,422,098 for Clinton, 60,637,350 for Trump, and 6,691,311 for other candidates. Here’s CNN’s tally by mid-day Nov. 14, showing Clinton ahead by half a percentage point. And given the votes left to be counted, it’s almost impossible to imagine that Trump will gain back ground in the coming days. That’s because California -- a state where Clinton is beating Trump by a 62 percent-33 percent margin -- has the most votes still to count of any state. Nearly a week after the election, CNN estimates that only 70 percent of the California vote had been counted. In addition, only 87 percent of the vote in Oregon had been counted; Clinton beat Trump 52 percent-41 percent there. And Washington state had counted only 87 percent of its vote; Clinton beat Trump there by a 55 percent-38 percent margin. So it’s entirely plausible that Clinton could end up winning the popular vote by 1 million to 1.5 million votes -- roughly two or three times the popular-vote margin assembled by Al Gore when he lost the Electoral College, and the presidency, to George W. Bush in 2000. By Nov. 14, the Washington Post and Business Insider both posted articles questioning why Google still had the 70news article at the top of their news category. A Google representative said the company was looking into the issue. But as of 3 p.m. on Nov. 14, 70news still had the article up. Social media was abuzz with the claim that the "final election 2016 numbers" showed that Trump had won won both the popular and Electoral College contests. Trump certainly won the Electoral College vote, and as a result, he will become president. But he clearly trails in the popular vote. As of this writing, Clinton is ahead by nearly 800,000 votes, a margin that is likely to expand further as late returns trickle in from California, Oregon and Washington state, all of which are strong Clinton states. 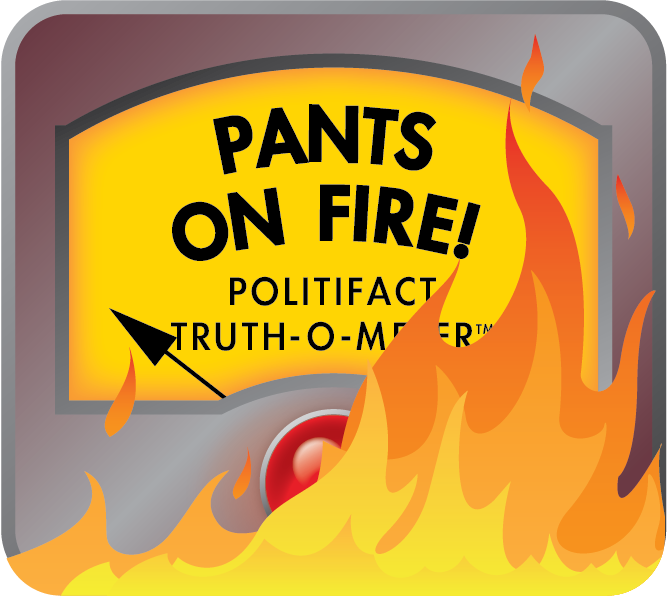 We rate the claim Pants on Fire. Published: Monday, November 14th, 2016 at 4:57 p.m.